June 17-23, 2019 will mark the 6th annual Bike Week Winnipeg! Bike Week is a week long celebration of the bicycle and everyone that rides. “It’s for everyone” because they aim to provide something for every type of cyclist. Whether you ride for recreation, fitness, transportation, sport, or just for fun, if you enjoying riding a bike, Bike Week is for you! 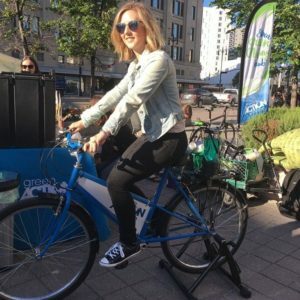 Bike Week Winnipeg with the help of their many partners, community groups and even individuals host group rides, workshops, leisure and cultural events that encourage all Winnipeggers to get on their bikes and ride. Events are held in every corner of the city, so watch their schedule as it grows for activities and events in your area. 2019 events are in the planning process, but you can always get a sense of what this event is about by checking out what happened in 2018.